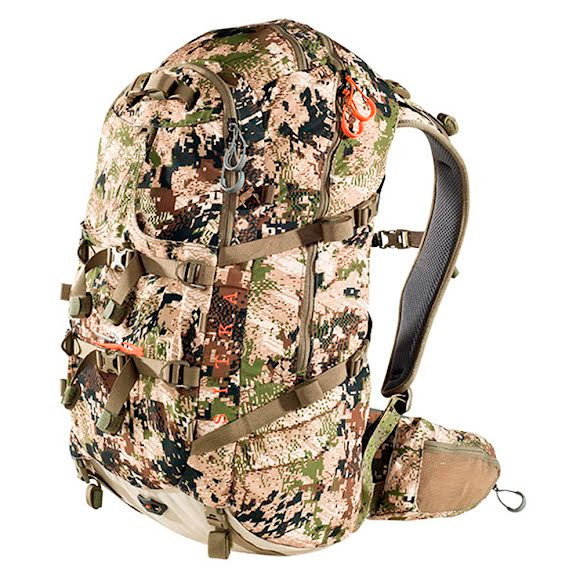 Completely reimagined for 2015, the Sitka Gear Flash 20 is a simplified, lighter, more durable and weather protective daypack than its predecessor. Highly technical and suited for long jaunts away from the truck, it's 2,000 cubic inch volume provides enough room for surplus snacks, water, and even a small bivy cache for the savvy lightweight overnighter. Completely reimagined for 2015, the Sitka Gear Flash 20 is a simplified, lighter, more durable and weather protective daypack than its predecessor. Highly technical and suited for long jaunts away from the truck, it&apos;s 2,000 cubic inch volume provides enough room for surplus snacks, water, and even a small bivy cache for the savvy lightweight overnighter. Bottom, side and front compression straps stabilize your load, while a new lightweight toggle bow suspension system quickly secures your weapon.